Jenavieve Moore studies voice at the Guildhall School of Music & Drama in London with Yvonne Kenny, and in Toronto with Helga Tucker. She is also an accomplished pianist and flautist, holding two Performance A.R.C.T. diplomas from the Royal Conservatory of Music in Canada. She has placed at and won many competitions, including the Canadian Music Competition, the National Kiwanis Festival, the Elora Festival TD Bank Competition, and the GSMD Aria Prize. As a soloist, Jenavieve has been featured in Canada with the Vancouver, Okanagan, and Cathedral Bluffs Symphony Orchestras, and has participated in master-classes with Dame Emma Kirkby, Sarah Walker, Julius Drake, Roger Vignoles, and Joan Rogers. 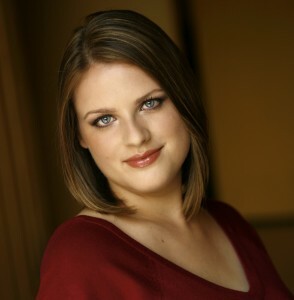 In March 2011, Jenavieve was one of eight singers chosen by Thomas Hampson to participate in the first Heidelberg Lieder Akademie, as a part of the Frühling Festival in Germany for two weeks. There she worked daily with Thomas Hampson, Wolfram Rieger, and Barbara Bonney. Her operatic credits include Mozart’s Die Zauberflöte (Pamina, First Lady), Nicolai’s Die Lustigen Weiber von Windsor (GSMD chorus), and Britten’s A Midsummer Night’s Dream (cover fairy ‘Moth’).